Boston Bruins General manager Peter Chiarelli confirmed the worst-case scenario many fans had feared on Monday night regarding David Krejci. Boston’s top-line center will miss four to six weeks with a partially torn MCL in his left knee. He suffered the injury in a third-period collision with St. Louis Blues forward Alex Steen during Boston’s 5-1 loss Friday night. Bruins fans were in a state of panic and disbelief after news broke of the severity of Krejci’s injury, which could cost him the rest of the regular season. The Black and Gold are in a dogfight for the final playoff spot in the Eastern Conference with the Florida Panthers and Philadelphia Flyers as only four points separates the three teams. Losing Krejci appears to be catastrophic for a Bruins squad that has underachieved this season. However, the injury could prove to be a blessing in disguise for Boston. If the 28-year-old is out for the rest of the regular season as the timetable suggests, Chiarelli could place him on long-term injured reserve (LTIR). The club would free up his $5.25 million cap hit, adding on to the $1.68 million of cap space they have if this was to happen. Bruins fans took to social media asking the club to consider taking advantage of the opportunity to add cap space and acquire players on or before March 2nd that would benefit the club going forward. The B's should put Krejci on LTIR. The Hawks did it with Kane and earned themselves a lot of cap space. 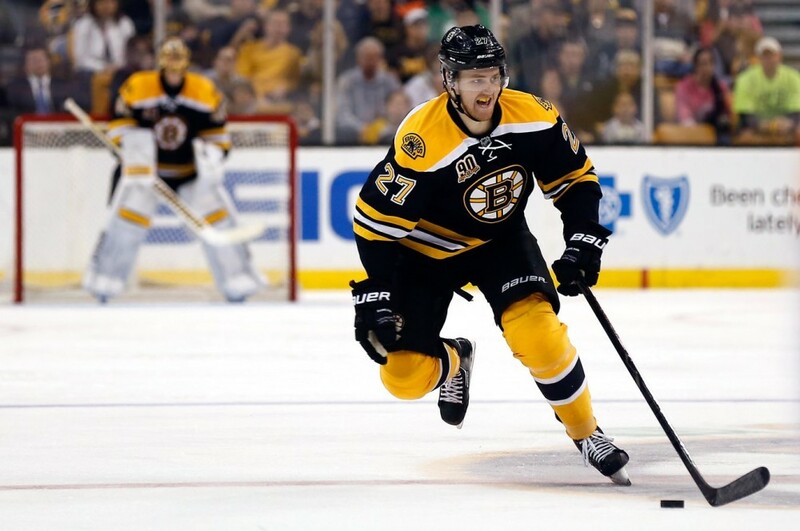 The Bruins are in the market for a top-four defenseman. Having almost $7 million in cap space to improve is better than just under $2 million, but Boston should tread lightly. The Los Angeles Kings acquired Andrej Sekera from Carolina, but gave up their conditional first-round pick and defensive prospect Roland McKeown to get him. It is a steep price to pay for a player who will become an unrestricted free agent once the season concludes. The deal leaves Jeff Petry of the Edmonton Oilers and Keith Yandle of the Arizona Coyotes as the most coveted defensemen approaching the deadline. Boston will have the cap space to make a trade and take on either player’s salary, but will have to engage in a bidding war with other clubs. Given Chiarelli’s recent return for Johnny Boychuk and Tyler Seguin, fans are not as optimistic that he can pull off a sensible deal. The decision of whether or not to place Krejci on LTIR goes beyond the money. Boston has its sights set on the postseason, but may have to wait until the final week of the season to confirm their playoff status. The month of March for the Bruins offers stern opposition with matchups against the Detroit Red Wings, New York Rangers, Pittsburgh Penguins, and Anaheim Ducks. Two pivotal games against the Florida Panthers also await in the second half of the month. The Bruins have fared well against the Cats in recent years, but they are the closest challengers to the Black and Gold for the final playoff spot. If Krejci is ready to return from injury and the club is battling to get into the postseason, his presence makes a difference. Boston’s second-round pick in 2004 has shown his importance in the springtime, leading the team in scoring during their two runs to the Stanley Cup Finals in 2011 (23 points) and 2013 (26 points). Placing him on LTIR would enable him to rest up for the playoffs, but his teammates would have to get there first. Boston’s list of impending free agents also make the decision difficult. Boston has several restricted free agents that will look to pen new contracts, especially Dougie Hamilton, Torey Krug, and Reilly Smith. Hamilton was the ninth-overall pick in 2011 and is pegged by many to be the next franchise defenseman, already setting career-highs in goals (10), points (34), and average time on ice (21:36) in 60 games this season. The 23-year-old Krug leads the team in goals from the blue line (11) while Smith’s inconsistency this season may hurt his chances of getting a new contract. Carl Soderberg will be an unrestricted free agent and is set to command at least $3 million on the open market; a number the Bruins may be reluctant to tender him given the depth at center with Krejci and Patrice Bergeron. Chiarelli would find himself in a very tough spot if he were to add pieces in Krejci’s absence. He would have to move a big contract to clear enough space to sign his FAs at the risk of a decreased return on investment. Procrastination is never a good thing, especially when it comes to clearing cap space in the event Krejci were to return before the end of the year. It may be best if the Bruins brass could rid themselves of a bad contract now instead of scrambling to do so later. The Bruins are in a position to make a crucial decision regarding David Krejci. Does Chiarelli take his cap space off the books and look to acquire pieces at the deadline? Will he be conservative, hope the team can survive in his absence, and wait for their #46 to return? The clock is ticking, Mr. Chiarelli. Are you listening?